Christmastime is here, along with the last-minute hustle and bustle to purchase gifts, plan meals, attend gatherings, and keep children (who seem perpetually high on Christmas-induced excitement and treats) from entirely glazing over and melting down. If I can find a minute to spare, I feel a deep longing to slow down and stop rushing. I want be enjoying these preparations, using them to settle my heart and quiet my soul, not just dashing all the way only to relax once the crumpled wrapping paper has been picked up off the floor. This past weekend, I experienced three separate moments that (quite unexpectedly) helped me prepare my heart and kindle Christmas spirit. If you've been careening toward Christmas like I have, I highly recommend them. 1) Host without caring what the house looks like. On Friday evening, old friends from New England texted that they were traveling for the holidays and would be passing near our town. Without a second thought, I immediately invited them to not just drop by for a quick hello, but to stay the night. I'm so glad they said yes. An hour later, they and their four daughters arrived in our driveway with a flurry of greetings and hugs and suitcases and you-can-sleep-in-my-room offers from my girls, who were thrilled to have a new playmates for an impromptu sleepover. I didn't have time to clean -- or plan a meal, or set out fresh towels, or even care to do those things. We simply opened the door, and that was enough. Truly, your hospitality is enough. It's more important that the state of your home. 2) In whatever capacity, serve. 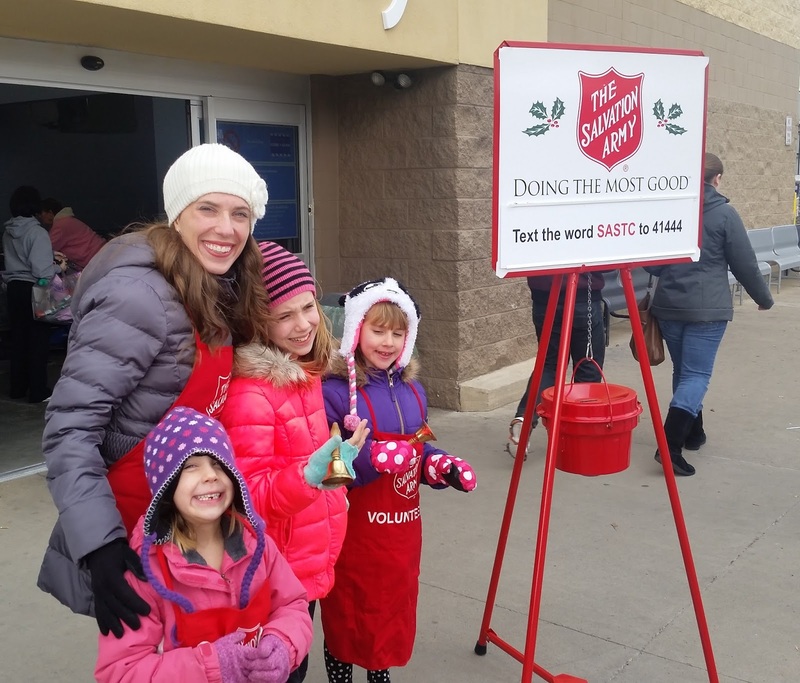 On Saturday afternoon, my family and I rang the bells outside of Wal-Mart for our local Salvation Army. It hadn't been my idea. 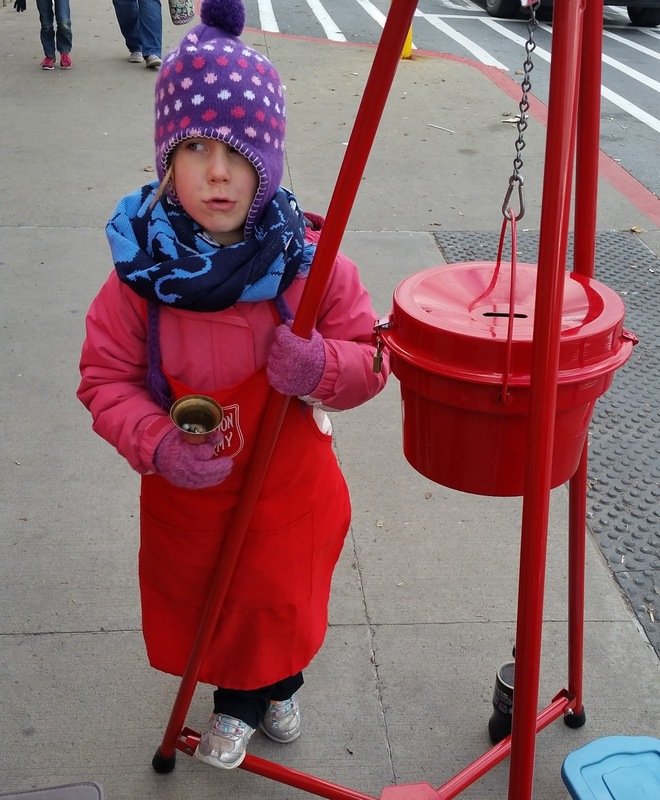 My mother-in-law had heard that there was a shortage of bell ringers, so she volunteered us. To be honest, we had plenty of other things to do with our Saturday afternoon, but we dutifully bundled up the girls, donned our red vests, and took our stations outside the automatic doors where welcome gusts of warm air periodically would blow toward us from the industrial entrance heaters. Perhaps it was witnessing the generosity of donors, or wishing strangers Merry Christmas, or hearing my kids hum snippets of Christmas carols as they rang the bells, or looking upward at the first snowfall of the season when light flurries briefly graced the sky. Perhaps it was all of this combined, those small festive moments that suddenly made the pavement sidewalk somehow feel like it was a bit of sacred ground. 3) Give yourself permission to rest. The older I get, the more I recognize my need to pull back periodically, especially during hectic seasons. There is nothing wrong with this. 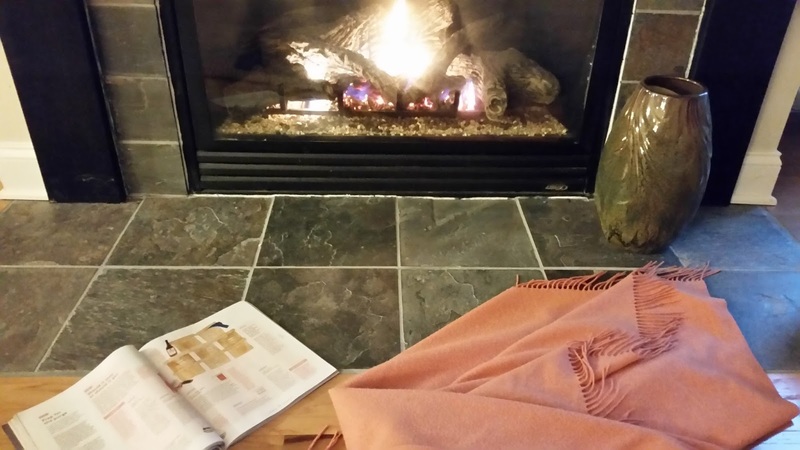 Yesterday afternoon when we visited my in-laws, brother-in-law, and nephews after ringing bells, I browsed through a magazine while I lay in front of my in-law's fireplace. 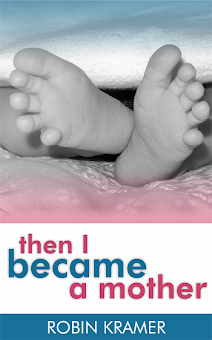 I was so warm, so cozy, so initially aware that the din of conversation from the adults and noises from the kids were blurring farther and father into the background, until I was aware of nothing at all except stretching and realizing that I must have just fallen into a coma right there on the floor. It was utterly delightful. When I re-entered the festivities, I brought a better version of myself because I was rested and recharged. Yes, my friends, take a moment this week to step back, curl up, or doze off. I completely give you permission. This Christmas season, my prayer is that you're blessed with the best kind of unexpected visitors, moments to serve, and delicious little pockets of rest. Thanks for the heartwarming read! 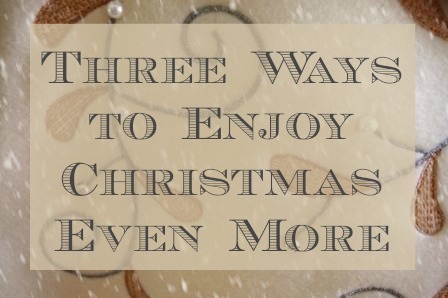 I have really taken time to slow down this holiday season, and it makes a difference! Rebecca, it does a soul good to slow down, doesn't it? :) Happy to hear that you've been able to rest despite the busy season!